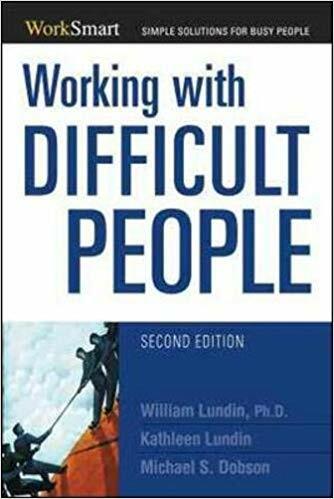 Unique among “difficult people” books, Working With Difficult People helps us look in the mirror — because we may be difficult people, too! This revised edition includes an action plan for preparing for encounters and confrontations as well as all-new verbal self-defense tips, guidance on how to master power dynamics, and ways to differentiate between situational issues and psychological ones. Packed with new, updated information, this is an indispensable guide for dealing with the most difficult people in the workplace.